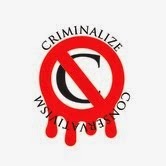 Criminalize Conservatism: What Will A Conservative President Do To Help Us? What Will A Conservative President Do To Help Us? There seems to be a deluge of GOP presidential candidates coming down the pike, and we have to wonder - will a Conservative president do all that much harm to our country? After all, Conservatism is a legitimate "political party," isn't it? ...and he was such a financial genius too. So what WILL a Conservative president do to thank his supporters? "57% Of Republicans Say Dismantle Constitution And Make Christianity National Religion." 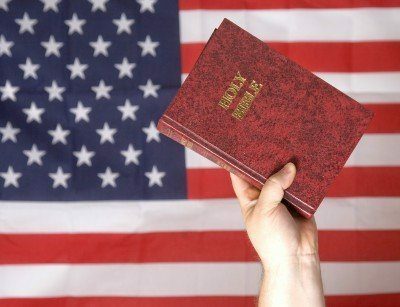 "A Public Policy Polling (PPP) national survey conducted between February 20th and February 22nd of Republican voters, found that an astonishing 57 percent of Republicans want to dismantle the Constitution, and establish Christianity as the official national religion. Only 30 percent oppose making Christianity the national religion. "Although the Establishment Clause of the First Amendment clearly states that 'Congress shall make no law respecting an establishment of religion,' GOP voters want to cast aside that provision and impose Christianity as the official American religion. "While a number of red states have passed statutes forbidding the implementation of Islam-based sharia law in their states, Republicans apparently have no misgivings about turning the United States into a Christian theocracy. The poll’s crosstabs reveal that support for making Christianity the official religion is strongest among Mike Huckabee (94 percent), Rick Perry (83 percent), and Ben Carson (78 percent) supporters..."
"Scott Walker Says He Would Crush What’s Left of Unions if Elected President." "If elected president, though he hasn't entered his bid, Wisconsin Governor Scott Walker said he would hit the country’s few remaining labor strongholds the hardest. But many studies show that 'right-to-work' laws result in lower wages and less benefits for all workers. "Though he has yet to officially declare his bid for president, Wisconsin Governor Scott Walker is frequenting early primary states and hinting at what he would do if elected to the White House. In a recent interview with Radio Iowa, Walker said he would champion a federal version of the controversial 'right-to-work law' he signed earlier this year. "With Walker’s blessing, Wisconsin became the 25th state to pass a so-called ‘right-to-work,’ which bans workplaces that have voted to unionize from collecting mandatory dues to support their collective bargaining efforts. Since then, the state’s union membership has been decimated. Two-thirds of the state’s members of American Federation of State County and Municipal Employees (AFSCME) have dropped out, causing membership to plummet from 63,000 to less than 20,000. "Governor Walker’s pledge to bring this policy to the 'other half of America' would exacerbate the existing decline in union membership that began in the late 1960s and sped up in the 1980s, and: Kentucky, New York, California, Alaska and West Virginia. With the sharp falling off of union membership comes increasing economic inequality and a drop in middle class incomes. Several studies have also found that 'right-to-work' laws result in lower wages and a lower likelihood of health care and pensions for all workers, both union and non-union..."
...because it's a new century! ...and by extension, here is why any Conservative presidential contender deserves your vote! The world was astounded every time we elected a Republican president, and their surprise wasn't misfounded since Conservative presidents have driven us closer and closer to their Shangri La - a New American Age of Feudalism. No taxes for the rich, no regulation to help the rest of us from the depredations of the greedy and wealthy among us. No education for your children, because they might understand what the "Conservative movement" is all about. More wars to help their defense contractor buddies. A push back to the dark days of segregation...and more. So with the help of the misinformed and low information voters, or a friendly Supreme Court, they drive us further and further back to the Dark Ages, just where they want to be. thinking about new ways to harm our country and our people, and neither do we."